Traditional looking barrel end ice tub will be a great addition to any bar, lightweight & easy to move plastic construction with a wood grain style finish. A great addition to any bar, restaurant or bbq! This versatile tub can be used not only for ice but also for storing both wine or beer bottles. 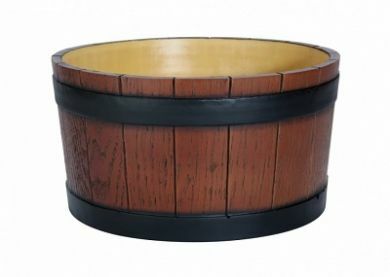 Its gives a very rustic look to any bar, restaurant, pub or cafe setting. Material plastic construction with a wood grain style finish.